Every day, we hear stories in the news about inceidents with police officers that make many people lose their trust in the men in blue. 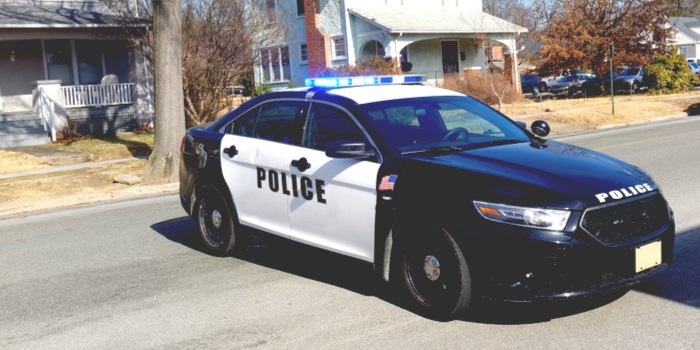 Luckily, there are just as much stories about officers that truly uphold their duty and make the world a better and a safer place than negative stories. 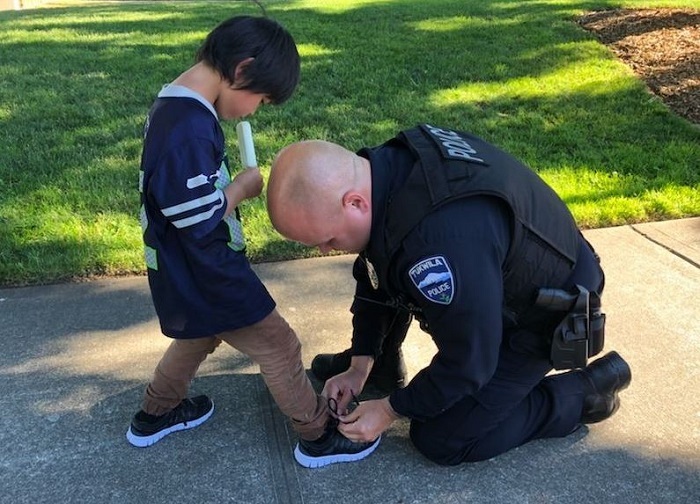 One such story comes from Tukwila, WA., where a police officer noticed a young boy walking with blood on his foot that came from him wearing shoes that were too small on him and worn to bits. The officer, who didn't want to identify himself, ran to get the boy new shoes, cleaned and patched his bloody foot and put on his new kicks. The heart warming story was posted in Tukwila police's official Facebook page, and it reminds us all about the kindness of people and the men and women in blue. "Sooo…Sergeant Modest and Officer Bashful (names have been changed to protect their bashfulness) were patrolling on foot at Cascade View Park yesterday afternoon. They came across this guy running around in torn dirty socks and bleeding from a decent sized cut on the bottom of his foot. The sergeant cleaned up and patched his foot with his first aid kit. When asked where his shoes were, their new friend told them that he didn’t have any shoes because the pair he had was too small for his feet to fit in. The sergeant ran out and grabbed a pair of shoes for him while the officer kept him and his friends company. He came back with not only a pair of shoes, but also with a bunch of popsicles because what isn’t better than a cold popsicle on a hot summer day?! The officer helped to tie his new friend’s shoes and they all enjoyed a popsicle together before parting ways."